You know plenty about the CMS IQR program...or do you?? Let’s find out! 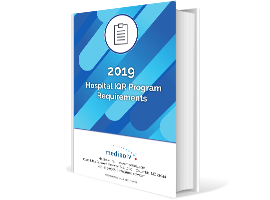 This quiz will provide a refresher on the 2019 requirements while testing your knowledge of the recent finalized changes to the 2019 CMS Inpatient Quality Reporting (IQR) program structure. Get started with electronic clinical quality measures (eCQMs) with this 101 course covering the basics of understanding eCQMs. In this course you’ll learn the basics of the Quality Payment Program (QPP) and the specifics of what’s required for successful completion of MIPS. This basic course will explain to you how to get cost accounting system set up quickly in your hospital.